We have great news. On January 1, 2018, Congress enacted several important changes to the estate tax. Under the new law, the federal estate tax exemption amounts increased to $11,200,000 for individuals and $22,400,000 for married couples, up from $5,490,000 and $10,980,000 in 2017. As was the case previously, the gift and generation-skipping transfer tax have identical exemption amounts as the estate tax. These exemption amounts are scheduled to increase with inflation each year until 2025. The highest marginal federal estate tax and gift tax rates remain at 40% and the generation-skipping tax rate remains at a flat 40%. However, under the new law there is a sunset provision causing the exemption amounts discussed above to return to 2017 levels, adjusted for inflation, on January 1, 2026. 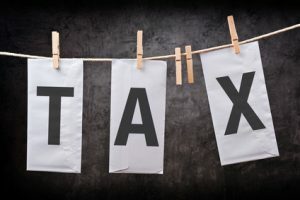 In addition to the increased exemption amounts discussed above, the amount each person may give annually to as many individuals as he or she desires without incurring a gift tax and without using any of the gift tax exemption amount has increased to $15,000 in 2018 (up from $14,000 in 2017). This means a married couple may make “annual exclusion gifts” of up to a total of $30,000 to an unlimited number of recipients each year. There also remains the unlimited gift tax exclusion for amounts paid on behalf of an individual directly to medical care providers for medical care and to educational institutions for tuition. The increased gift tax exemption amount allows individuals who previously used their full gift tax exemption amounts to transfer additional assets to their descendants and other beneficiaries in 2018 without being exposed to the federal gift tax. Given the significance of these new laws, this may be a good time to review the terms of your Wills and Revocable Trusts, as many Wills and Revocable Trusts create trusts within them that will be funded according to formulas tied to the exemption amount in effect on your death. If you die before 2026, these trusts may be funded with significantly larger amounts than you initially anticipated when the documents were put in place. If you have any questions on the new wealth transfer tax laws or would like to discuss your individual plan in more detail with Jay or Christine, please do not hesitate to contact us.